Palazzo Te. 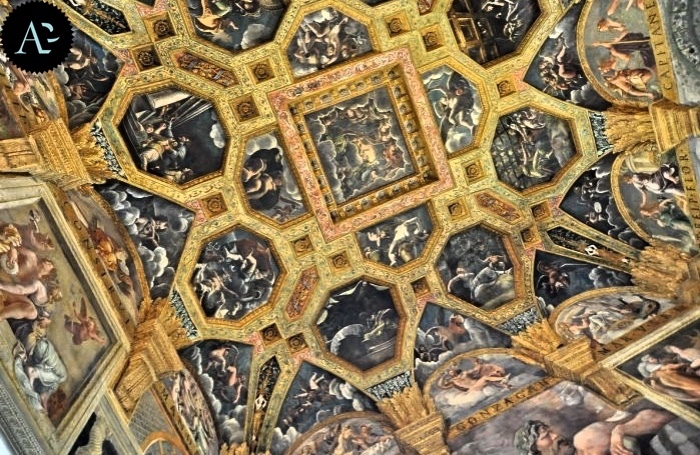 One of the most pleasant experiences you might enjoy in Mantua is certainly a visit to the Palazzo Te. In the post in which I talked about my journey to Mantua I touched upon that this place is actually one of the masterwork of the city. Now it’s time for me to explain you the reason why it is so extraordinary and especially what you shouldn’t miss during your visit. The Palazzo Te is an architectural masterwork located in the area of the city of Mantua surrounded in the past by the Lago Paiolo (the Copper Lake). 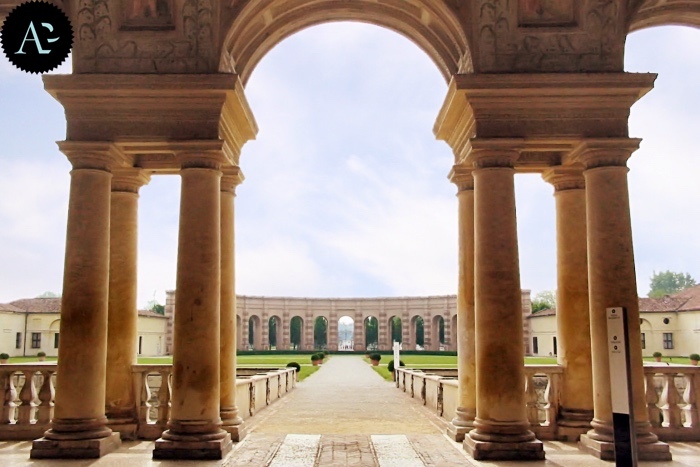 Frederick II of Gonzaga commissioned to Giulio Romano, one of the most important architects at that time, to build a pleasure palace, in which the Prince could had fun and entertain his guests. 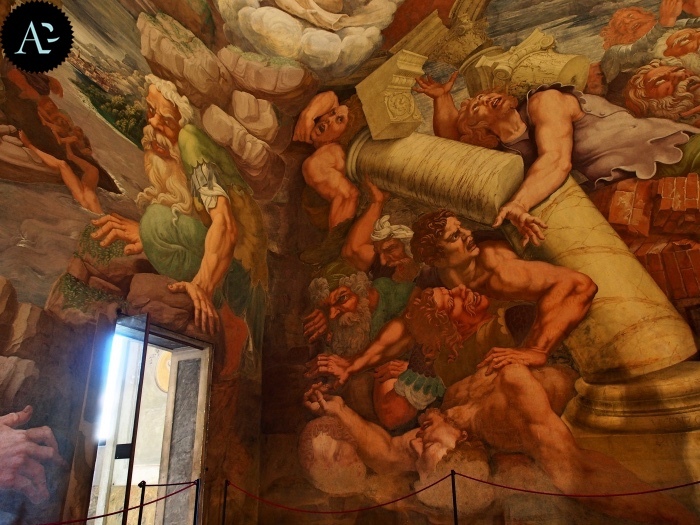 The works began in 1525 and lasted 10 years, during which the architect planned not only the building, but also planned in the finest details the frescoes and the decorations in each room. 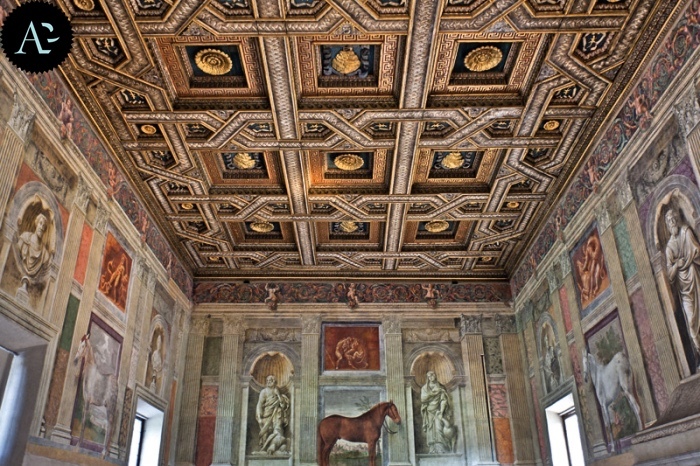 Palazzo Te is one of the most extraordinary examples of Renaissance villas which contains some art masterpieces, such as the Sala dei Cavalli (the Horses salon), the Camera di Amore e Psiche (the Room of Psyche), and the Sala dei Giganti (the Giants’ Room). This room was meant to hold the most important ceremonies and to welcome guests. The room was named after some life-size paintings of horses belonging to Frederick II of Gonzaga, frescoed on the lower side of the walls. Two of the six horses depicted have a name: Morel Favorito and Dario. The Gonzaga family bred their horses in a well-known stable, and considered them the most valuable gift they could make to a friend or to an illustrious guest. This is the most sumptuous room of the Palazzo Te, intended for the most prestigious guests. The frescoes decorating the room illustrate the myth of Eros and Psyche and their love story. 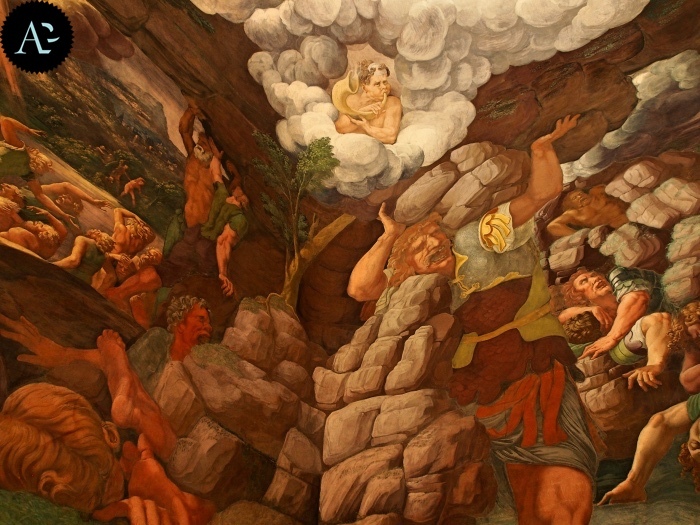 The room illustrate the Fall of the Giants described by Ovid. This is the most famous and important room in the Palazzo Te. In fact, you can admire a painting of great intensity, and through an optical illusion time, space, the walls and the ceiling of the room seem to disappear and it feels like you’re entering the painting. The scene describes a furious Zeus wreaking revenge on Giants who, without success, try to conquer Mount Olympus. READ ALSO: Visit Mantua: useful information to visit the city and Free museums in Mantua: a cheap visit to the city of the Gonzaga family.